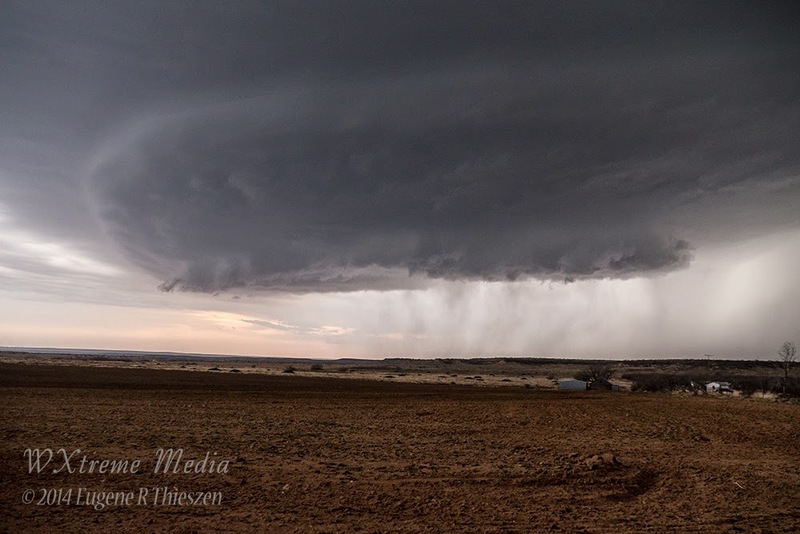 Here are several shots from the Throckmorton, TX supercell yesterday evening. 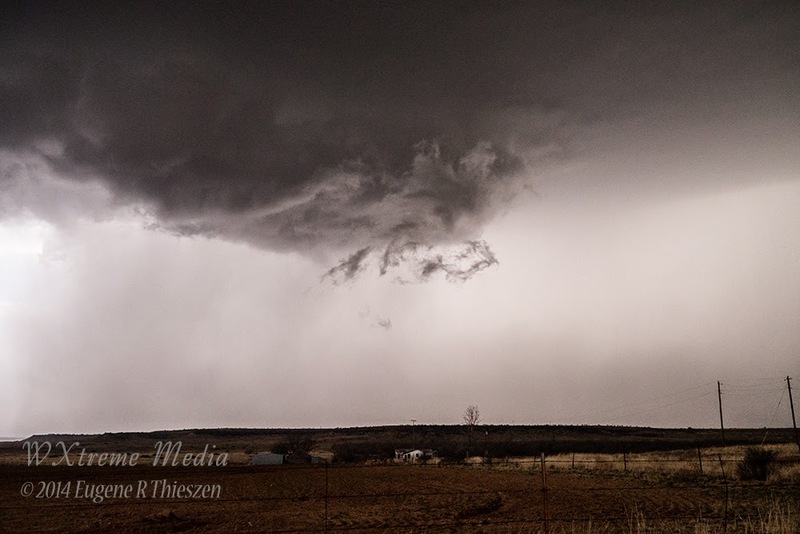 The cell began to develop at a dryline - frontal intersection near Stamford and moved quickly NE toward the Throckmorton area where it made a hard right turn and went tornado warned. No tornadoes witnessed, although there may have been a funnel cloud before the warning was issued. We were a bit too far from the wall-cloud to say for sure. We did encounter some quarter-sized hail later on E of Woodson with a few golf balls and tennis balls thrown in! 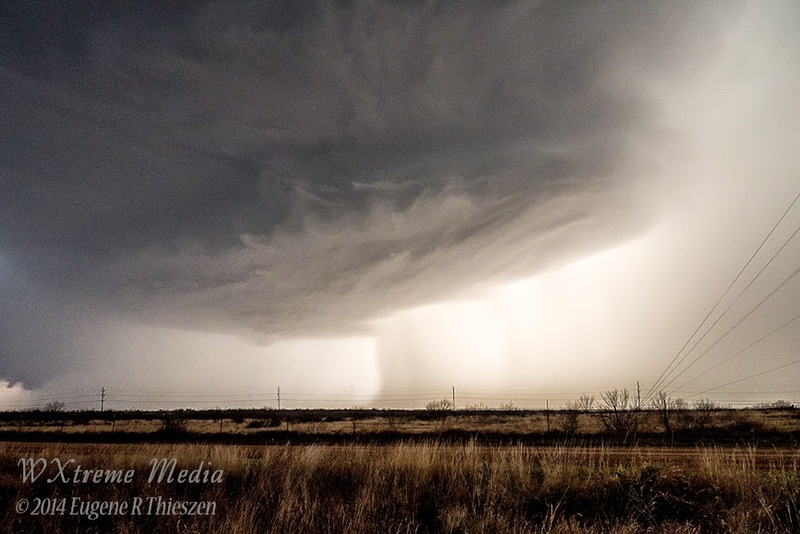 All three photos below were shot from a position S of Throckmorton on US 183/283.